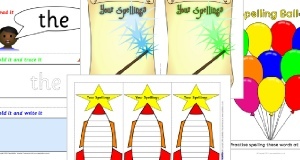 Printable banners for your Writing classroom display. 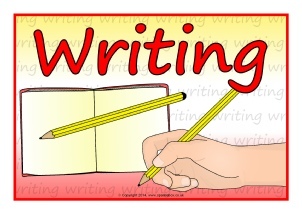 A printable banner for your Writing classroom display. Printable posters for your Writing classroom display. A printable poster for your Writing classroom display. 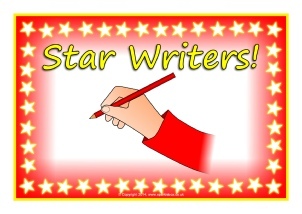 A colourful banner for your ‘Star Writers’ display. A colourful poster for your ‘Star Writers’ display. Colour banners for your Writing Gallery display. 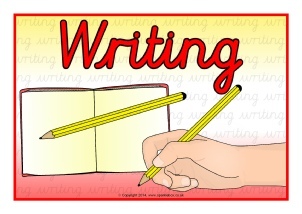 A printable banner for your Writer’s Workshop classroom area. A printable banner for your Writers’ Toolkit classroom display. Colour banners for your ‘Writers’ Wall display. Microsoft Word templates that enable you to add text to simple word flash cards. 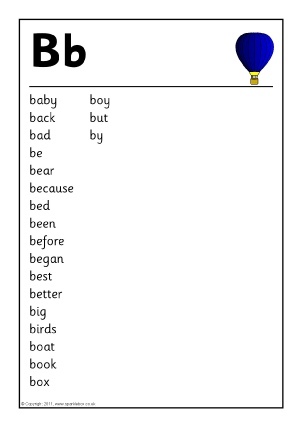 Great for creating word banks for your children to use when writing. 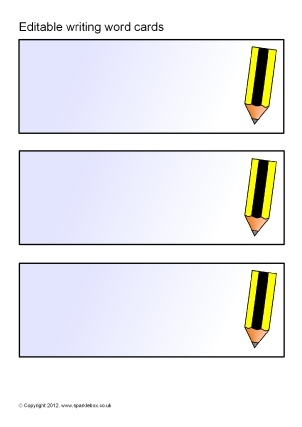 A set of printable sheets that can be assembled into an A5 folded booklet for your pupils. Includes 300 high-frequency and common words organised into pages by alphabet letters with space for pupils and teachers to add their own words. 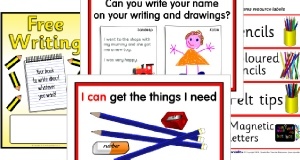 Very useful for pupils to use as a reference when writing independently. 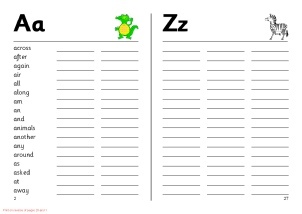 A set of printable sheets that can used to make a whole class word book. Includes 300 high-frequency and common words organised into pages by alphabet letters with space for you or your pupils to add your own words.